Against a backdrop of floral wallpaper, a Caribbean youth stands proud. His headgear resembles a delicate paper doily. The collar of his branded, pink-and-white shirt is turned out. The figure’s face is bleached white, a cosmetic choice that contrasts conspicuously with his elongated neck, its skin stretched out in emphasis. On a shelf below his portrait, a horde of toy soldiers clamour for his attention. They fall over each other to get closer to him, collapsing in a tangle of plastic limbs. With Untitled (Souljah), from her Disciplez series, Ebony G. Patterson considers the act of skin decolouration, exploring its complex relationship with race and masculinity. Ringo is a waiter who spends little of his time tending tables, preferring instead to hide in bins, rig crab races, and chase women. Aware that his patrons will take liberties if given the chance, he makes sure to beat them to it. In one scene, after a junior colleague lets an armful of cups and saucers drop to the floor, Ringo treats the youngster to his idiosyncratic worldview, exalting the wonders of deodorant in a demonstration of good service techniques. The central lesson of Trevor D. Rhone’s satirical take on tourism is simple: no opportunity to fleece a hotel guest should be missed. Each of Mr. Charlie’s children began life as a small yam. Having sown his seed and tended to the earth dutifully, he harvested the yams in turn. As they ripened, some became young boys, while others grew up to be old women. All work hard together on their father’s plantation. The exact setting of The Rainmaker’s Mistake is left intentionally unclear. Erna Brodber’s nuanced entwinement of fantasy and reality denies us a narrative foothold, as does the presence of multiple storytellers. Yet, despite these ambiguities, the author’s allegorical tales still resonate with the history that lies beyond their pages. A rocksteady skank is supplied by heavy piano keys and a clean guitar. A violin sounds a handful of strident tremolos before stepping back to make way for The Paragons’ vocals. As John Holt takes the lead, his bandmates provide responsive support. Even the highest of tides, they declare in defiance, will not jolt their determined romance. Holt’s delivery is assuredly relaxed; he roams freely about the upper register, sustains the longer notes with ease, and takes a laidback approach to timekeeping. Yet the confidence of his narrator is not all-engulfing; the words are tinged with fragility. 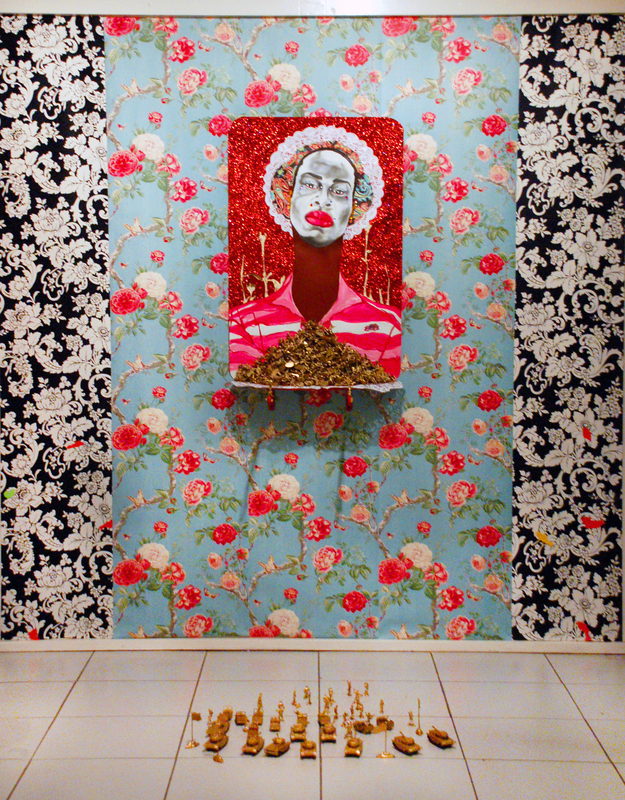 Untitled (Souljah): You can visit Ebony G. Patterson's official website here, view a booklet about her Disciplez series here, and read a profile of the artist by Nicholas Laughlin for Caribbean Beat. Priscilla Frank has interviewed Patterson for The Huffington Post, as has Julia Felsenthal for Vogue. Smile Orange: You can view the trailer here. 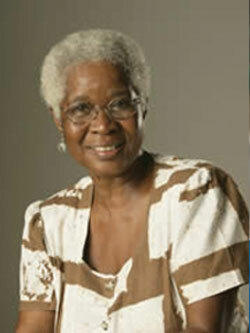 The Rainmaker's Mistake: You can read an interview with Erna Brodber by Keshia Abraham for BOMB Magazine. 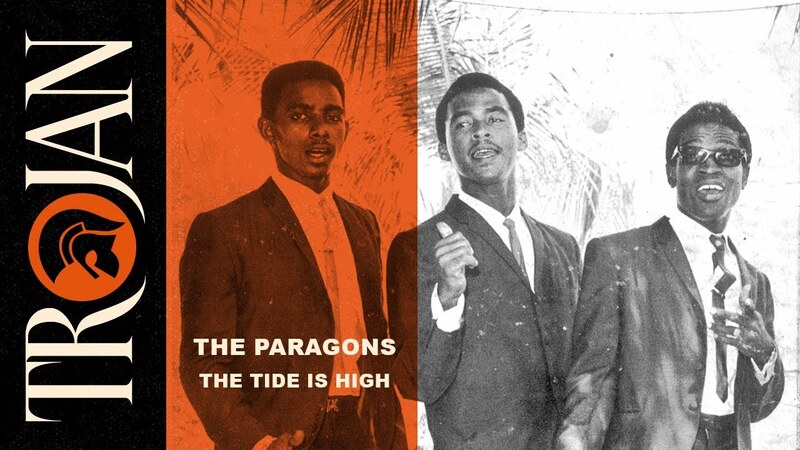 The Tide is High: You can listen to the song here. Which Jamaican artworks would you recommend, and why?